Does your radiator need repair? 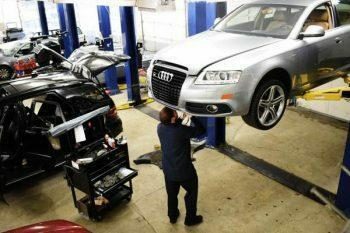 While most new cars can go for a long time without major service being required, eventually the radiator will need to be replaced, repaired, or upgraded. And that holds especially true if you have a vehicle where consistent performance is expected. 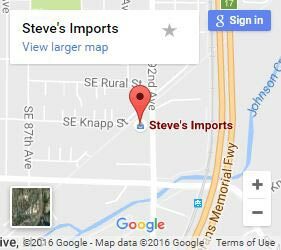 Thankfully, those in need of radiator repair in Portland have Steve’s Imports at their service. With over 40 years in operation, there’s no radiator that they can’t repair and no job they haven’t seen before. But before you bring in your car into our auto repair shop, take a look to check if you have the signs of a faulty radiator. What are some of the most common indicators that your radiator needs repair? Overheating. If your car is constantly overheating or if it even starts running slightly hot, that is typically a tell-tale sign that the radiator is failing. Not only can a defective radiator wear down your thermostat, water pump and gasket, but if the symptoms are ignored, it could lead to extensive repairs that might even require a complete engine overhaul. Rust. Where there’s a visibly rusty exterior, there can also be a rusty radiator. And a rusty radiator can’t do its job. Like any part of the car that’s exposed to liquid, oxidation and rust are a concern. If left unchecked, a rusted radiator will eventually develop enlarged holes that lead inefficient cooling. Rusty radiators are especially common in cold and humid environments. Leaking coolant. Radiators use coolant to keep your car from overheating. Which means that if there’s a leak, coolant will drip down from the leak and collect beneath your vehicle. If you notice a pool of greenish-white liquid building up beneath your car, your car’s cooling system might be compromised. Low coolant levels. If the low coolant light comes on, or if you’re constantly finding that your coolant levels are low, that typically points to a leak in your cooling system. If you think your car doesn’t come with a coolant sensor, you may need to open up the hood and take look at your coolant level. Did you know that we warranty all of our repairs? We stand behind the work we do. All radiator repairs are covered for two years or 24,000 miles. With over 40 years as a family-owned auto repair shop, the team at Steve’s Imports is equipped with all of the modern tools and expertise for any kind of job. And when it comes to radiator repair, there’s no team more qualified to keep your car running cool and efficiently. So if your vehicle begins showing the signs of a leaky radiator, bring it down to the shop for a prompt diagnosis by one of our technicians. If you suspect your radiator might be starting to fail, we encourage you to bring it down to our Portland shop for an accurate diagnosis. While fixing or replacing your radiator might be a large-scale job, neglecting your vehicle’s cooling system can quickly open the door to a total loss of performance and even costlier repairs. Steve’s Imports prides itself on its integrity, accuracy and low-pressure involvement. All diagnoses are thoroughly explained and we’ll never push you into a repair your car doesn’t need. Call or contact us today.